With their safe passage through to the semi finals, Ben Ryan’s side will lift their second World Series title at Twickenham, and their first since 2006. Not since 2010 has a side other than New Zealand lifted the coveted trophy. “Thank you very much for supporting the team,” said captain Kolinisau. 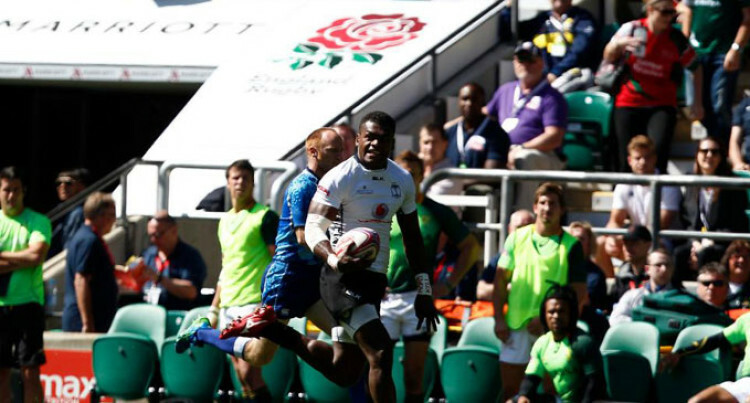 “To be only the second Fijian team to win the title is a great feeling. Having won four Cup titles in eight rounds, Fiji will now face Australia in the Cup semi finals, searching to round off the season in style. Chris Dry had brought the scores back to 12-7 with the Blitzboks’ only hope of winning a first Series since 2009 but Rawaca’s fourth of the tournament secured the victory.